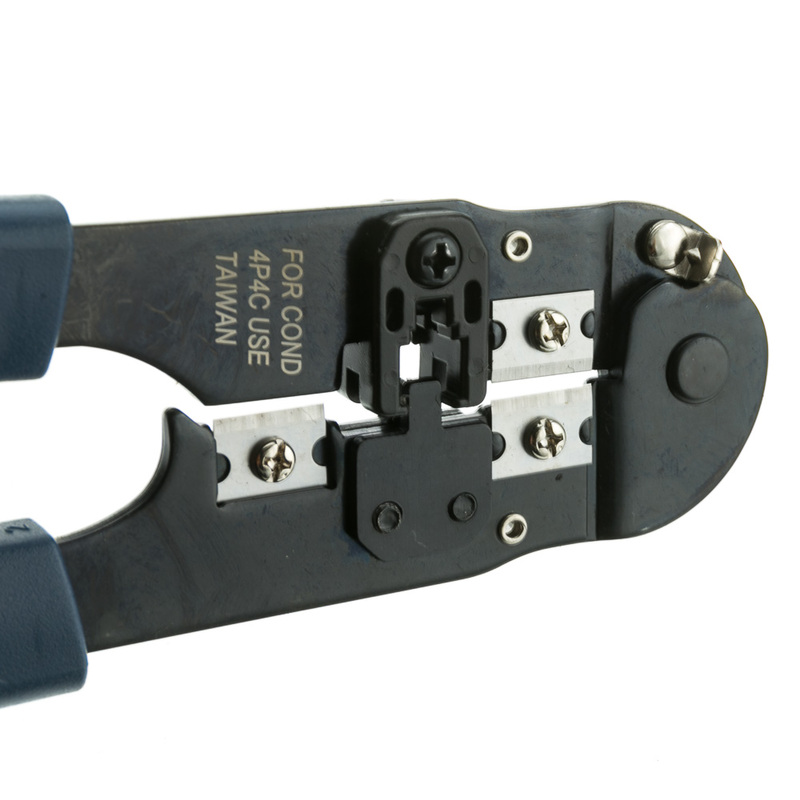 This crimp tool is designed for use with an RJ22 connector. This woorks with Part Number: 31D0-4P4CF. Very pleased value to quality, first use successful. This is the exact crimp tool I needed, and it's well constructed and I was pleasantly surprised at the level of quality for the price. 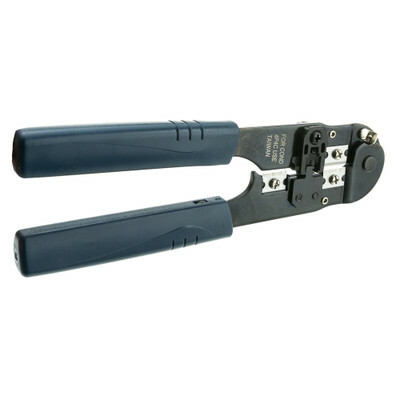 I've purchased plastic crimp tools that cost as much or more and were not even close to the quality of this tool, which is metal, and I'm confident it will poutlast any of the plastic crimp tools I currently have. Excellent Quality for a Great price. i like that you also carry the tools to make the cables but might be nice to add a link or option with the tool page to add links to the replacement parts like the blades.